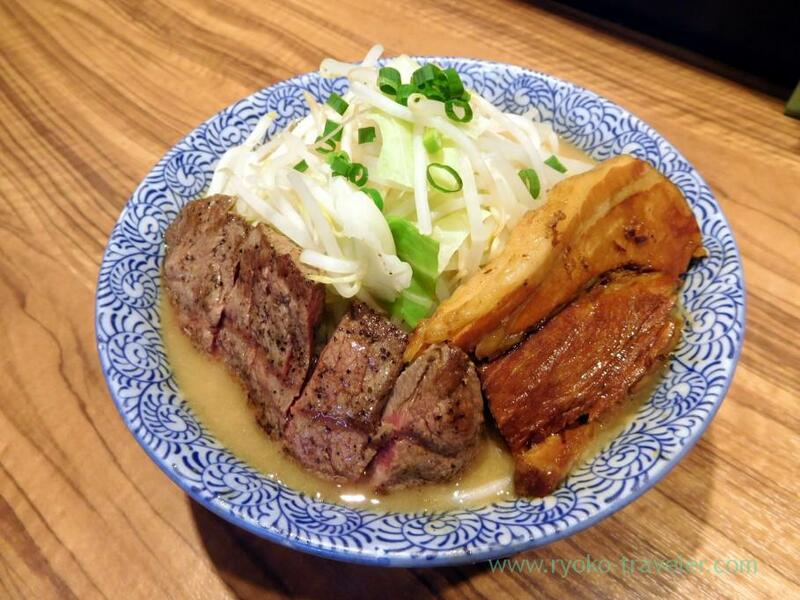 We visited Ramen Toro in Shinkoiwa area this time. 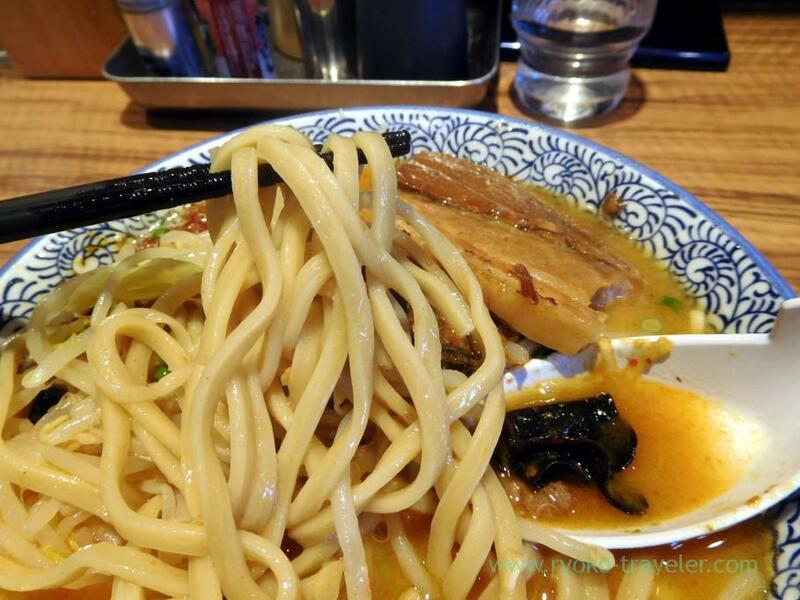 Ramen Toro is one of the shop managed by one of the most popular tsukemen shop “Menya Itto”. 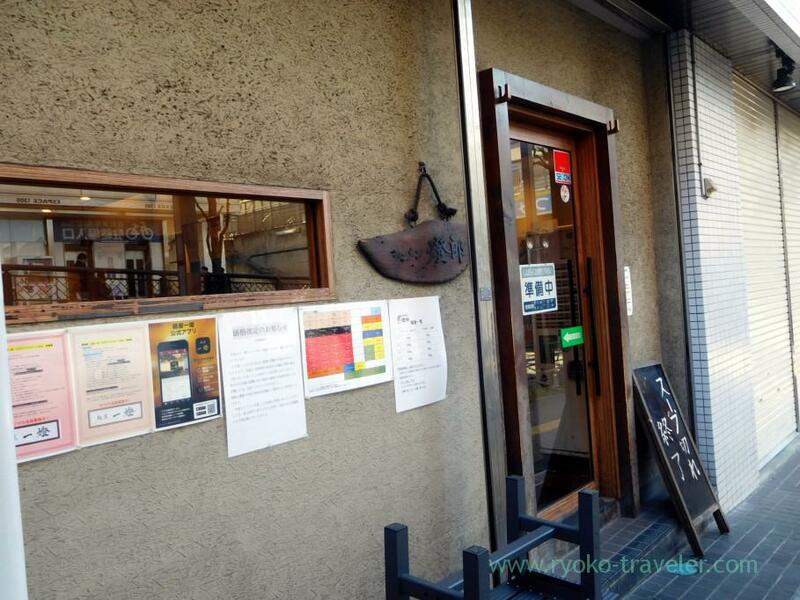 It is located just close to Shinkoiwa station. When we got to there, there seemed to be many people waiting in front of the shop, but we found those people were waiting for bus at bus stop. We never saw there are much people waiting, there are many people waiting during meal hour all the same. 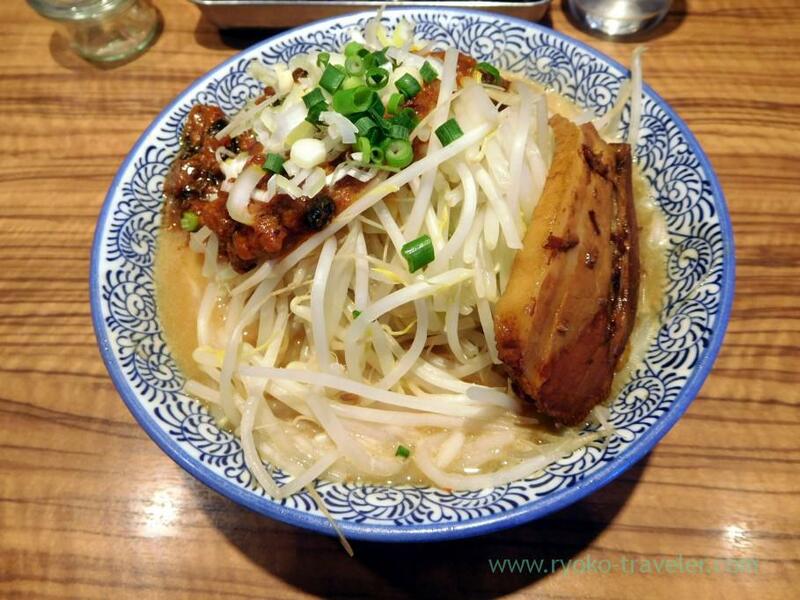 Toro served Jiro-style ramen ! They have such a good location. In front of the Shinkoiwa station. Closer than Menya Itto. 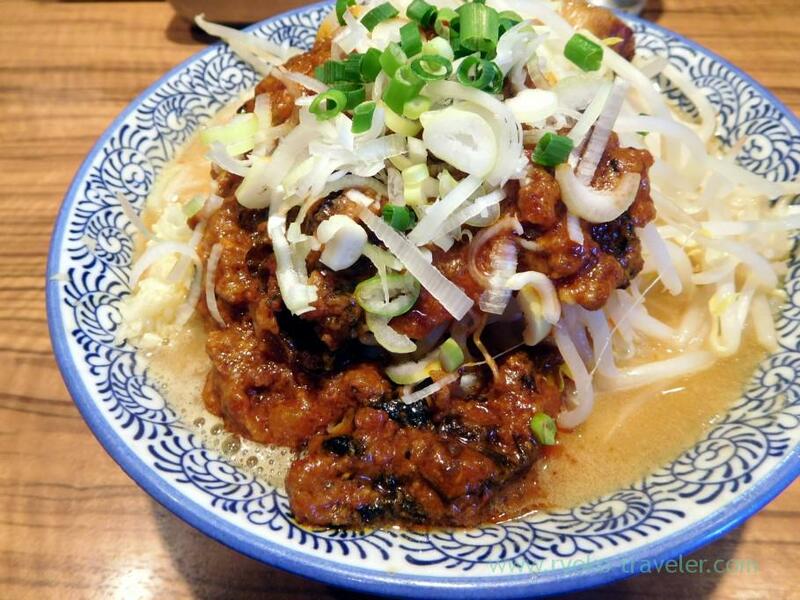 This is Spicy ramen (辛らーめん, 930 yen). It have thick roast pork on it. And much spicy miso. This spicy miso looks not so spicy, but actually, so spicy. They just put spicy miso on soybean sprouts, so at first, I enjoyed simple tonkotsu soup. It had much pork bone extracts, but unexpectedly it had light tastes. Not greasy at all. Flat noodles went with spicy soup very well. Vegetables soaked into the soup was good, too. But this beef steak was delicious. I think they will succeeded in steak shop, too. The medium-rare steak was seasoned with simply salt and peppers only. 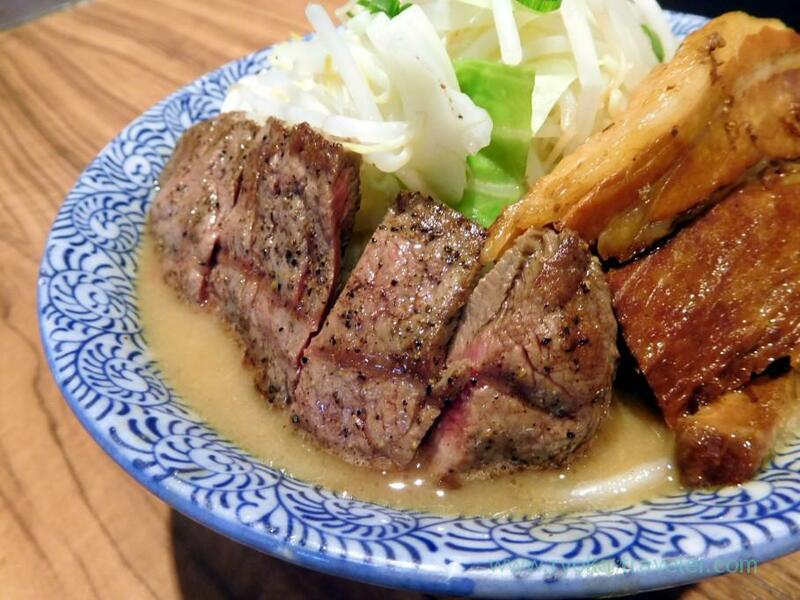 The steak went with the tonkotsu soup. I never expected. Open / 11 a.m. – 3 p.m., 6 p.m. – 11 p.m.
Saturdays, Sundays and another national holidays / 10:30 a.m. – 3 p.m., 6 p.m. – 11 p.m.